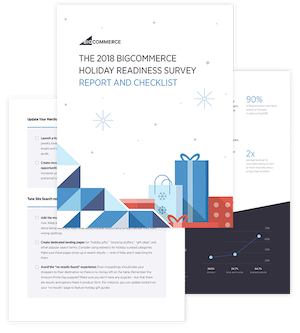 So, we decided to go to that source – and survey more than 1,000 online business owners, ecommerce managers and brand marketers on what they are planning and expecting for the 2019 holiday season. So, without further ado, here is what 1,018 brands reported they will do for the 2019 holiday shopping season. 5.4% expect to see a more than 100% increase YoY in holiday sales in 2019. Here is how the data breaks down, showing the percentage of respondents who expect to make more than a given % in YoY holiday revenue for 2019. Seems like at least 37.52% of them did – with those reporting they began holiday planning 1-4 months earlier in 2019. Here is how the percentages break out for how brands changed (or didn’t change) their holiday planning timeline in 2019. Amazon fears make up the majority of the “Other” category. With an omni-channel marketing approach, you no longer have to compete with Amazon, but it is still a concern. The key challenge in April 2018 was an ongoing downward trend in store footfall and revenue conversion when compared with 2017; while online their traffic was steady but customer engagement and conversion were low in comparison to market benchmarks.